This is the "Professional Range" from EMP-Centauri. High build quality. 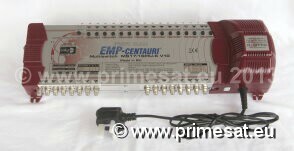 All multiswitches have gain controls on all inputs so that levels can be balanced if required. (The economy range does not have adjustable gain. We only sell the professional range). The specifications are impressive, Terr 40-862 MHz active (built in amp) 5-862 MHz passive (switchable). SAT 950-2300 MHz. Isolation between inputs 20dB. (Instructions included). Power consumption 3W terr passive and 5W terr active. SAT gain 15dB adjustable. The professional range is built in the EU to high standards of reliability. They even include instructions! (Most multiswitches don't). The four satellite feeds could come from four dishes, or one fixed dish with four LNBs held on a bracket. (The four LNBs on a bracket option works well if the satellites are close together, typically with no more than 20 degrees of separation). This type of system is ideal for customers requiring (e.g.) the main UK channels from one satellite and a range of international channels from two other satellites. e.g. UK channels from Astra 2 at 19E (freesat or Sky) and international channels from the Hotbird at 13E and Astra 1 at 19E and a 4th satellite, Maybe 23.5E or 16E. (Note, for satellites that are close together, narrow feed LNBs must be used.) Within the property, home, hotel, office etc. multiple satellite points can be fitted. One or more points in every room provides access to all four satellites depending on which type of satellite receiver (set top box) or TV with built in satellite is to be used in that area. 17 input multiswitches are ideal for providing multiple satellite points in homes, apartments, rooms or offices from one - four fixed dishes. They can be used in both commercial and domestic applications. Many private customers now choose to have satellite points in every room in the same way as mains outlets or network / internet points. Fitting a satellite provision in every room means that multiple receivers can be used or receivers can be carried from one room to another if required. 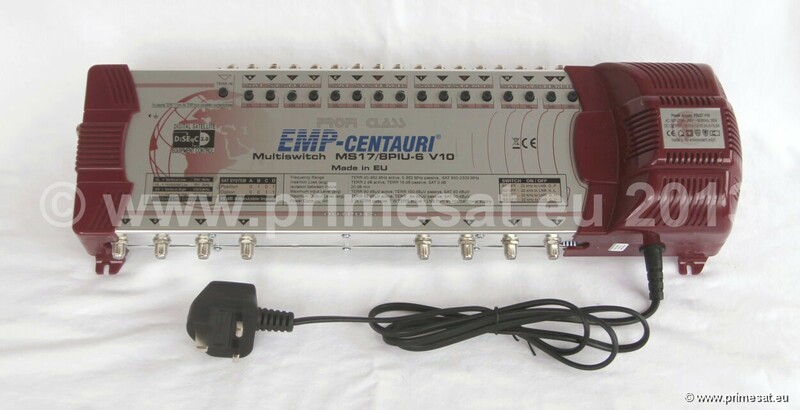 Multiswitches are used in hotels to provide many TV channels for guests in their rooms. Schools, colleges and commercial buildings all use multiswitches. The options are, 8, 16 and 26 outputs. 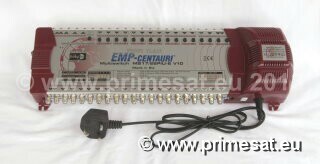 Usually UK dealers only offer 5 and 9 input multiswitches but we also offer 13 and 17 input multiswitches. These multiswitchers also have a terrestrial input. The terrestrial signal is encoded onto the satellite cable and can be accessed using the correct type of wall plate. If 3 aerials need to be fed into the multiswitch, TV, FM and DAB, they can be combined using a combiner and then the one output of the combiner feeds into the terrestrial input of the multiswitch. Again the aerials are accessed in the rooms with an appropriate wall plate. 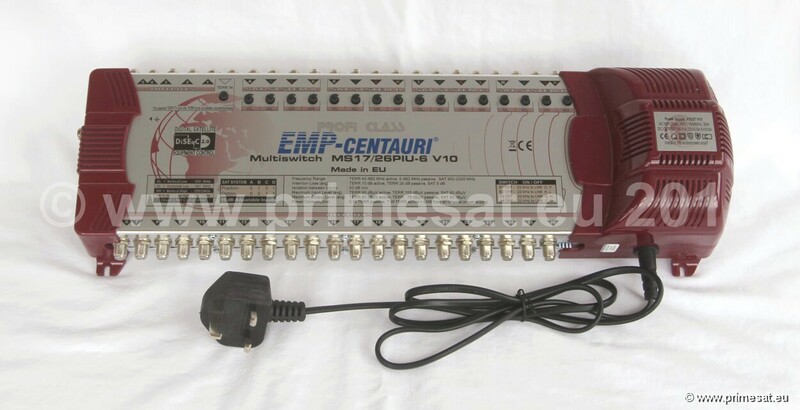 New - also available 17 in and 40 output and 17 in and 60 output powered multiswitch.